What’s Best in Boca Raton, Hardwood Flooring or Laminate Flooring? We welcome you to join in conversation as we discuss how to provide quality hardwood, carpet, porcelain, marble, tile and luxury vinyl flooring from our certified professionals. Click Here for Complimentary Estimate! etc. 16 Apr What’s Best in Boca Raton, Hardwood Flooring or Laminate Flooring? If you’re looking for hardwood flooring in Pompano Beach, Boca Raton, Delray Beach, Parkland or any of the other South Florida communities that Kuhn Flooring Company of Palm Beach County serves, you have a number of options. At first glance, you wouldn’t think deciding between hardwood flooring and laminated hardwood flooring would be a tough choice. Isn’t the real thing always better? 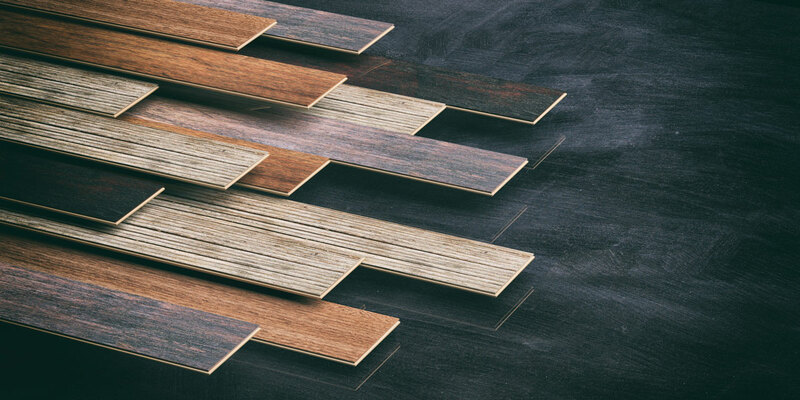 When comparing laminate flooring and solid hardwood flooring, it’s helpful to have an understanding of what each product is. Solid hardwood flooring installed by Kuhn’s is exactly what it sounds like: Florida flooring that is 100 percent wood. Kuhn Flooring of Boca Raton, one of the highest-rated flooring companies in Palm Beach and Broward Counties, offers a wide variety of solid hardwoods, ranging from native species to some of the more exotic choices available for flooring in Pompano Beach homes, Boca Raton condos or as exceptional business flooring solutions in Delray Beach. Visit our South Florida flooring gallery in either Lighthouse Point or in Coral Springs to learn more about our complete collection of solid hardwoods, many of which are available in a variety of widths and finishes, including satin and hand-scraped. If you’re thinking of upgrading a home in Boca Raton with hardwood flooring, The Spruce cautions that there are a few things you’ll want to keep in mind. Hardwood floors, they say are, “Difficult for non-professionals to install.” Fortunately, our Boca Raton flooring company has the expertise to install beautiful solid hardwood flooring in Pompano Beach, Coral Springs, Lighthouse Point, Highland Beach, Boca Raton, Delray Beach and a host of other Palm Beach and Broward County communities. Solid hardwood flooring also tends to be more expensive than laminate flooring. It is also vulnerable to UV rays and should not be used in a moist environment, like a bathroom. At Kuhn’s Flooring Company of Boca Raton, we have provided quality laminated hardwood for customers looking for flooring in Pompano Beach, Parkland and Hypoluxo – as well as countless homes and businesses in between. Laminate flooring in Florida means you don’t have to worry about drying and damage from the harsh rays of the sun. Laminate hardwood flooring can also be used in bathrooms and kitchens, where moisture may make solid hardwoods less attractive. And, while giving you the wonderful, warm look of hardwood flooring for a Boca Raton home full of charm or a new restaurant in Coral Springs, laminate hardwood flooring also offers durability in a wide selection of tones, clarity and hues – all at an affordable price. And let’s not forget hardwood engineered flooring! Not sure which is right for you? Don’t worry! The Boca Raton flooring experts from Kuhn’s can help you decide which option is best for you, whether you’re considering new flooring for a Pompano Beach townhouse or looking for practical commercial flooring solutions in South Palm Beach County! After having a water pipe break under my house and needing to replace the floor for in my den, I went to Kuhn's on a neighbor's referral. I met with Pelli - who was as patient as one could be dealing with a slightly psychotic woman who, first, had never filed an insurance claim so therefore had no idea that nothing was going to be simple and second, didn't know laminate vs hardwood, ceramic vs porcelain tile, BUT just knew she needed a floor. Professional and quick estimate for insurance claim with knowledgable salesman & Fair pricing. Would recommend visiting showroom location to compare materials pricing, as we have not yet gotten to that point in our project. Steve and Sue are great to work with. We have collaborated on many homes using both their wood and carpet flooring options. THE ART OF FLOORING BEGINS HERE! 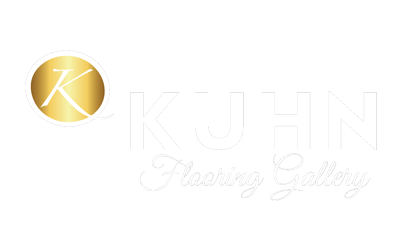 KUHN FLOORING GALLERY… THREE GENERATIONS OF EXCELLENCE. Serving South Florida for over 30 years, we are leaders in custom design on residential and commercial flooring and window fashions. Our Project Managers and Color Design Representatives provide the ultimate custom service as well as education on the latest trends.